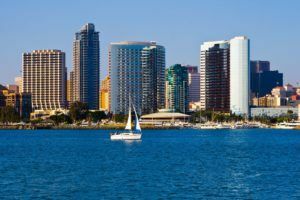 The California Bureau of Cannabis Control (BCC) revoked a temporary testing laboratory license for the San Diego location of PharmLabs. The lab failed to meet the testing standards and procedures required by state law and the BCC’s regulations, according to a news release. The agency declined a request from Marijuana Business Daily for comment and specific information about what caused the lab to lose its license. The company also has compliance testing laboratories in the California cities of Coachella and Long Beach. According to a company representative, all test samples in the San Diego lab’s queue were resampled and sent to another PharmLabs location for testing. PharmLabs’ Coachella and Long Beach locations were not affected by the BCC’s decision to revoke the San Diego lab’s license. As of Oct. 1, the San Diego lab had submitted its application for its annual license, the representative noted. “While we have had our temporary license for compliance testing revoked, we are charging forward in hopes to be one of the first labs to have an annual license,” the PharmLabs representative wrote. PharmLabs noted in its statement that the San Diego lab will continue to offer quality assurance testing. Although its temporary license has been revoked, PharmLabs can apply for an annual permit if it demonstrates it can operate in compliance with state laws, BCC chief Lori Ajax said in the news release. We often come across the news on media relating to the supply of marijuana, which is laced with extremely dangerous substances that can be fatal in certain conditions. Under these circumstances, it’s extremely important that testing labs comply with the testing laws in letter & spirit. One can’t be ignorant of the fact that besides recreational users, thousands of people purchase medical marijuana for treating critical conditions by getting MMJ cards from licensed clinics.